The role of public administration is evolving and the changing nature of the field will impact the way policies and programs are designed and implemented. For those seeking a deeper understanding of the public administrator’s role, Handbook of Public Administration is a clear, comprehensive resource. 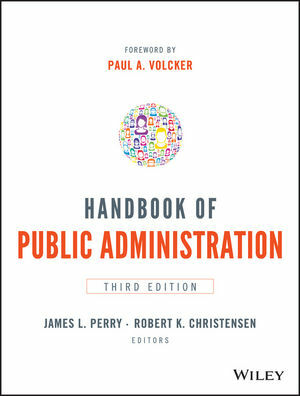 The Handbook of Public Administration is the classic, comprehensive guide to the field, featuring original writings from the world’s foremost public administration thought leaders and practitioners. This book fully explores current and upcoming changes, domestically and internationally, against the backdrop of public administration fundamentals and is intended to help both students and practitioners navigate administrative challenges, overcome obstacles and improve effectiveness. Readers will appreciate the well-rounded approach to issues public administrators face every day. Explore the ethics and liabilities of public administration, and what it means to take part. For more information or to order a copy of the book, visit the Wiley website: http://www.wiley.com/WileyCDA/WileyTitle/productCd-1118775554.html.